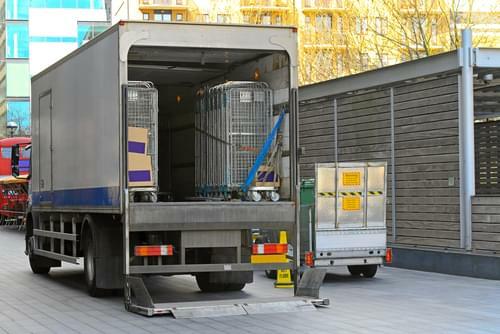 A lift gate is necessary for many companies and individuals who have need of freight shipping, but who don’t have a loading dock available for use at the loading point or destination. 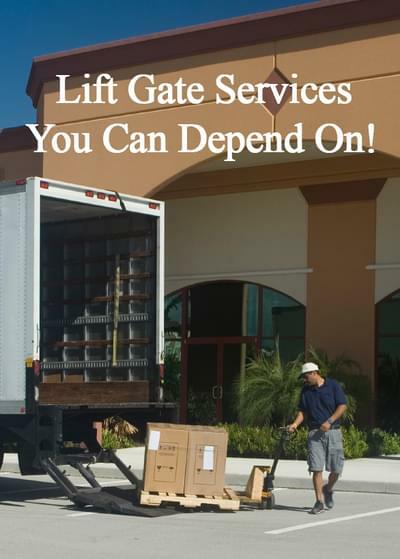 If you do not have a loading dock or other loading or unloading equipment, you will require lift gate services. Without them, you will not be able to load or unload your cargo from the tractor-trailer. Liftgate shipping is one of the options you can choose when you use our automated freight calculating system. There are many lift gate services and shipping companies available, but it can be difficult to find the right one for your job, especially at the right price. If you’re arranging for a one-time shipment or contracting out regular shipments, then you’ll be dealing with many competing services and competing claims. How do you know which one will best serve your needs at the lowest price available? A lift gate is a platform added to the back of a shipping trailer to assist you in loading and unloading the shipment. This motorized platform will raise and lower the shipment of goods so that they can be more easily removed from the shipping trailer. What is A Lift Gate and do I Need Lift Gate Services for my Shipment?? If you are shipping to a residence or other non-commercial or non-industrial address, then you will surely require lift gate services, unless you have a forklift available for unloading the shipment. Businesses without a proper elevated loading dock or an available forklift will also require lift gate services. Note: with lift gate services, the shipment will be unloaded from the truck via the lift gate and left at the entrance to the destination address. Drivers will not move the contents inside, as this is the responsibility of the recipient. Please plan for unloading in advance by making sure that you have the necessary equipment and personnel available. How Much do Lift Gate Services Cost? To determine the exact cost of lift gate services for your intended shipment, simply use our Online Quoting Tool. Just fill out the weight, dimensions, origin and destination of your shipment and check off the “residence” or “business without loading dock or forklift” option. Once you hit “get my quick quote” you’ll have a reliable and instantaneous quote for your entire shipment, including lift gate services. Hop on over to our online quotation system to find out how much lift gate services will cost for your upcoming shipment now. If you fail to notify us during the quotation phase that your origin or destination does not have a loading dock or forklift, then lift gate services will be added to your freight shipment order later on during the process as an “accessorial fee,” almost certainly at a greater cost to you. FRC Logistics Inc. offers free, fully automated online quotations, so there’s never any confusion about the availability or cost of shipping services. We can offer you the lowest shipping rate in the industry because we work with over 100 major carriers to negotiate the cheapest price for you. We know who offers liftgate services and which freight services can offer the best service and best value for residential and non-industrial shipments. Best of all, Freight Rate Central offers the same discounts to small companies and individuals as it does to large corporations. With Freight Rate Central, there’s no minimum-sized shipment or minimum total cost. Whether you need to ship 200 pounds of freight or 200 tons, we are happy to arrange it. Just use our online freight calculator to find out how much your liftgate shipment will cost. At Freight Rate Central, our customer service representatives always deliver friendly and professional service to every customer, no matter how large or small. Every one of our clients is treated with respect, and we always aim to provide the best service possible. Try us out and experience the difference for yourself. You’ll appreciate the low rates we can negotiate, even for residential and small business shipping that requires the use of liftgates. We can find you the best deal and save you time and stress.